The candidates apply for the test. It is pen and paper based examination. The examination is held on April every year. This year CBSE conducted JEE examination on 3 April. And online or computer based examination took place on 9th and 10th April. Update: It has been declared. Aman Bansal has topped the exam. Yamuna Nagar’s Bhavesh Dhingra came second while Jaipur’s Kunal Goyal came third. Kota’s Riya Singh topped the girls with an AIR of 133 among the 2,00,000. A large number of candidates appeared for the test. All the candidates successfully took the examination on particular date and timings given by CBSE. The candidates who have appeared for the exam had been waiting for the results. The CBSE board updated the official answer key for the candidates so that they can cross check their answers and calculate their marks. It updated the result on 27th April 2016. The candidates appear for the examination can check the results on their official website. The procedure to check the result of JEE is to first visit the official website then click the link ‘JEE MAINS RESULTs’ then enter the registration number, password and click on submit. The results would be displayed on the screen. And check the result and take a printout of the result .on the basis of the result, top two lakhs students will be eligible for the advance examination.The central board has conducted the JEE advance 2016 to all those students who qualified the jee main. JEE advanced level exam was held on 22nd may . all the candidates who have qualified Main examination to sit in the exam. This test has been conducted by IIT Guwahati. Officially, the answer key of JEE advance has been displayed on June 5th on the official website of www.jeeadvance.nic.in. The candidates who have appeared for the exams can check answer key from 5th June to 7th June 2016 before 5 p.m. The key has announced for all the codes 0,1,2,3,4,5,6,7,8,9.with the answer key of paper 1 and paper two candidates can calculate the score. 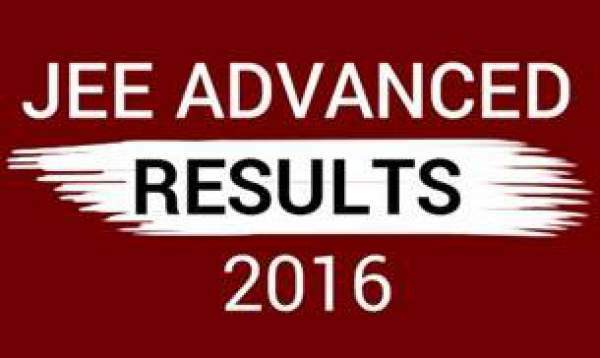 the result will be declared officially on 12th June 2016 on the official web site of www.jeeadvance.nic.in.